Barbara H. Ryland: Health Care/Regulatory & Policy Lawyer: Washington, D.C.
Barbara H. Ryland is a senior counsel in the Washington office of Crowell & Moring's Health Care Group. Ms. Ryland brings more than 20 years of experience navigating the complex health care regulatory environment in working with health care clients in counseling, litigation and internal investigations. Ms. Ryland has worked with health plans to investigate and resolve False Claims Act disputes arising out of government health care programs. Ms. Ryland has also represented health plans in administrative disputes before CMS, involving Medicare Advantage and Part D plans, and in disputes with state agencies involving Medicaid managed care plans. Ms. Ryland has worked with health care clients in making voluntary disclosures to the OIG and CMS, in matters involving potential overpayments, pricing disputes and general non-compliance. In addition to having experience in the regulatory and business issues that affect managed care companies, Ms. Ryland has significant experience in working with pharmacy benefit managers in contractual and government program matters, and in advising clients in HIPAA privacy and security issues. Specific to the area of pharmacy, Ms. Ryland has worked on pharmacy and PBM transactions involving licensure transfer and business arrangements that raise fraud and abuse, contracting, and licensure issues (e.g., outsourcing, backend and central fill arrangements). She has also counseled clients on 340b compliance in such areas as outside pharmacy contracting, the interface between 340b and the Medicaid program, and the permissible scope of 340b pricing to an entity’s covered patients. Ms. Ryland graduated from Duke University Law School in 1987, where she was an editor of Law & Contemporary Problems. She received her undergraduate degree in 1983 from the University of Virginia. Prior to her employment at Crowell & Moring, she clerked for the U.S. Court of Appeals for the Fourth Circuit, and was an associate in the tax and employee benefits practice at Miller & Chevalier Chrtd, and a principal at Michaels & Bonner, P.C. Ms. Ryland is a member of the District of Columbia and Maryland bars. She has published articles and lectured on a variety of issues of concern to managed care organizations and healthcare providers including confidentiality of health care information, e-commerce issues in health care, antitrust and fraud and abuse. She is the co-author of A Guide to Health Care Financial Ventures and has recently edited an ABA treatise on health care joint ventures and antitrust law. 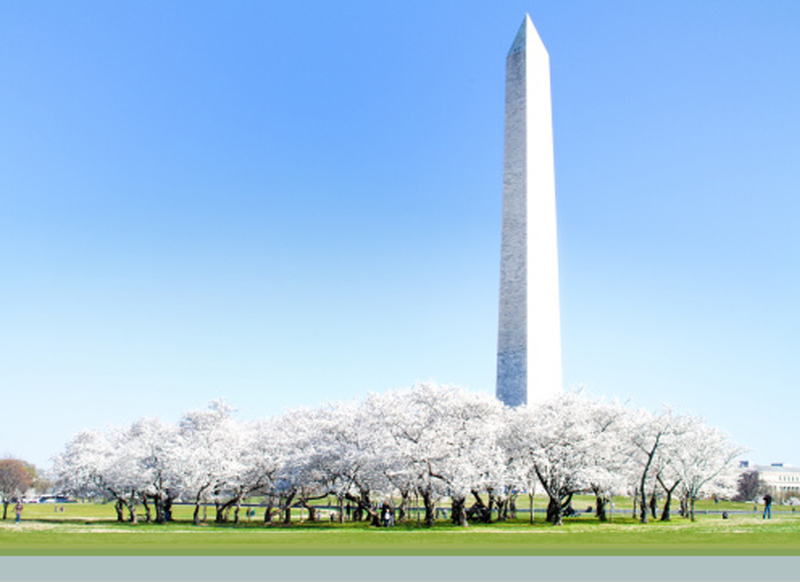 "Focus on Fraud, Waste and Abuse: Audits, Enrollment and Certification," Crowell & Moring's Healthcare Ounce Of Prevention Seminar (HOOPS), Washington, D.C. (October 27-28, 2014). Presenter: Barbara H. Ryland. "Impact of Healthcare Reform on Managed Care Drug Benefits and Programs," Payors, Plans, and Managed Care Practice Group and the Medicare Part D Task Force, AHLA (May 18, 2010). Co-Presenters: Christine M. Clements and Barbara H. Ryland. "The Reformed New World of Health Insurance Exchanges," Crowell & Moring's Healthcare Ounce Of Prevention Seminar (HOOPS) (April 26-27, 2010). Presenters: Arthur N. Lerner and Barbara H. Ryland. "Who's Afraid Of A Big Bad Breach? : Security Breach Updates For Covered Entities And Their Business Associates," Crowell & Moring Webinar (September 16, 2009). Co-Presenters: Christine M. Clements, Barbara H. Ryland, and Robin B. Campbell. "Cyber Security and Privacy Impacts of the American Recovery and Reinvestment (Economic Stimulus) Act of 2009," Webinar - American Council of Technology/Industry Advisory Council (March 11, 2009). Presenters: Barbara H. Ryland and Robin B. Campbell. "The American Recovery and Reinvestment Act of 2009: HIPPA Privacy and Security Implications for Covered Entities and Their Business Associates," Crowell & Moring LLP Webinar (February 24, 2009). Co-Presenters: Christine M. Clements, Barbara H. Ryland, and Robin B. Campbell. "Antitrust Issues Affecting Bundling Contracts in Health Care," Crowell & Moring's 2007 Healthcare Ounce of Prevention Seminar (HOOPS) (October 2007). Co-Presenters: Arthur N. Lerner and Barbara H. Ryland. "Settlement in FCA Qui Tam Case Disposes of Claims Alleging Falsely Certified Compliance with Medicare Advantage Rating Instructions," Crowell & Moring's Health Law Blog (February 6, 2015). Co-Authors: David W. O'Brien and Barbara H. Ryland. "Navigating a Hostile Regulatory Climate: Practical Lessons Following OCR's Latest $4.8 MM HIPAA Settlements," Crowell & Moring's E-Discovery Law Insights (May 9, 2014). Co-Authors: Barbara H. Ryland and Elliot Golding. "Killing the Messenger: Is There Continuing Relevance to Messenger Model Contracting," chapter in the 2008 edition of the Health Law Handbook, published by Thomson/West (2008). Co-Authors: Arthur N. Lerner and Barbara H. Ryland. "Health Care Privacy in the 21st Century: Overview of the HIPAA Privacy Rule," The Consultant Pharmacist (April 2001). Co-Authors: Margit H. Nahra and Barbara H. Ryland. "Physician Incentive Plan Rules' Implications: Throw the Stone and Watch the Ripples," Analysis and Perspective, The Bureau of National Affairs' ("BNA's") Health Care Fraud Report (March 26, 1997). Co-Authors: Robert L. Roth and Barbara Ryland.